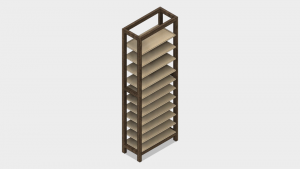 I am planning to build storage shelves for our laundry room and loose tenon joints are my favorite method for that. However – in this case the joint has to come apart so that we can disassemble the shelves. 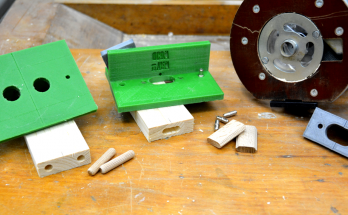 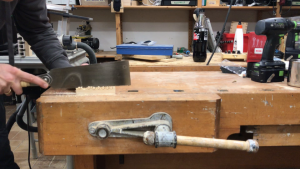 I could use commercial domino fasteners from Festool; however they are expensive, only work with 14mm mortises and require a very deep mortise. 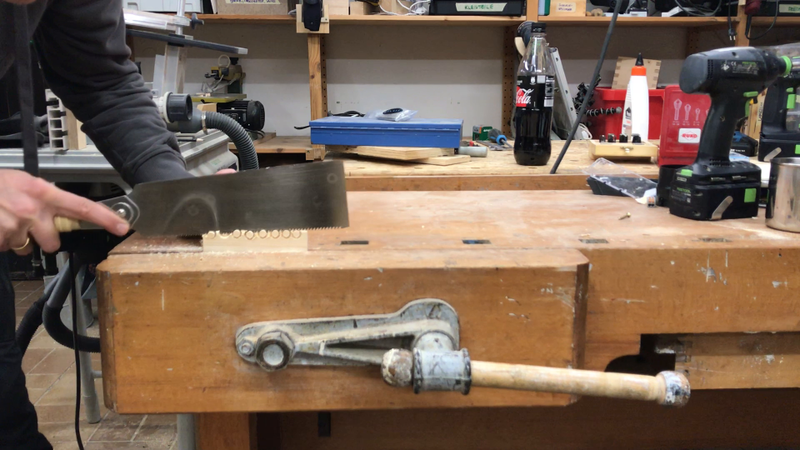 So I decided to create my own version. We first mark the distances with a caliper and then use a center punch to mark the location of the hole. 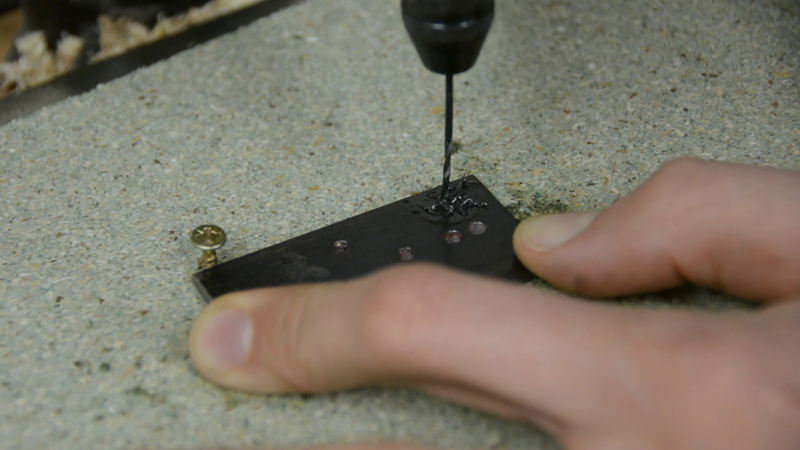 Next we drill in total five 3mm holes in the steel plate. The mild steel drills easily and should work for quite a few joints. 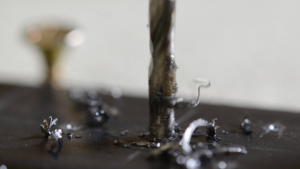 If you plan to drill hundreds of joints you might want to think about using tool steel instead of mild steel. 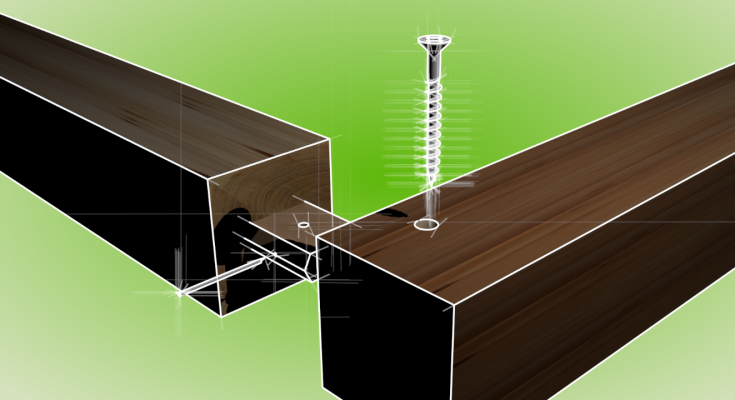 The last hole will be a 1,5 mm hole that is 9.5 mm from the upper edge and inset by half of the tenon thickness. 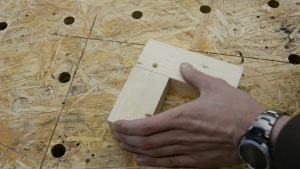 As I want to use 10 mm dominos for me that’s 5 mm. We counterbore 3 of the holed. 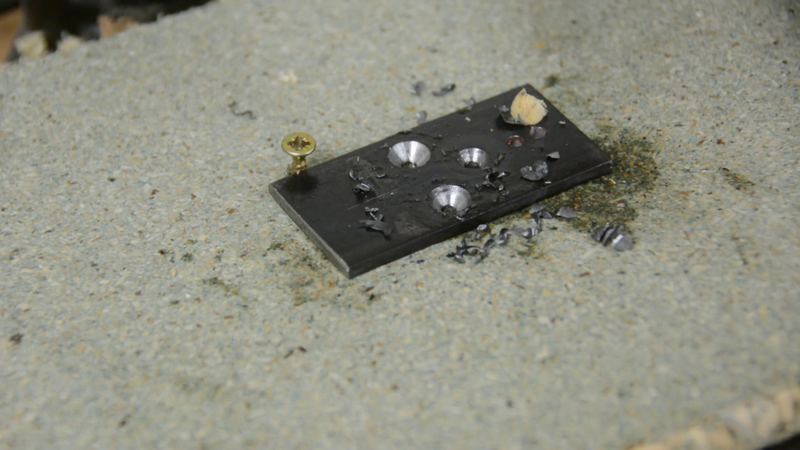 The two outer holes will later accept screws and the center counterbore helps us to look through the hole for our mark. 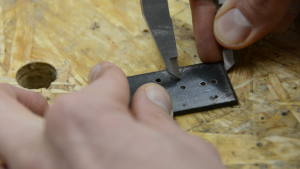 We also mark a line around the piece of steel in the position of the third hole. 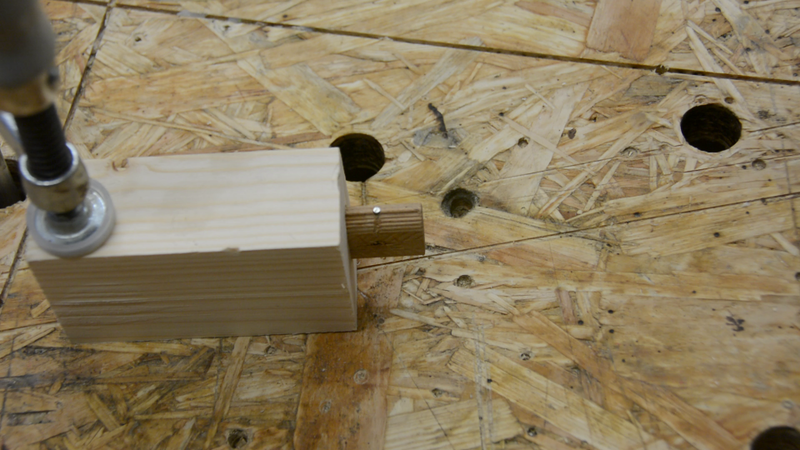 We use this line to align the piece of wood and position the steel plate perpendicular to the wood block. 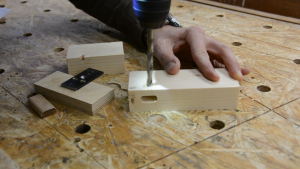 Next we drill pilot holes in the wood and screw the domino fastener jig together. 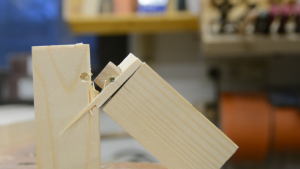 To use the drill guide we mark a line as we would for any other loose tenon. 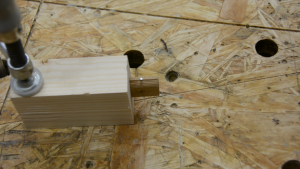 Using my homemade jig I created the mortise in both pieces. 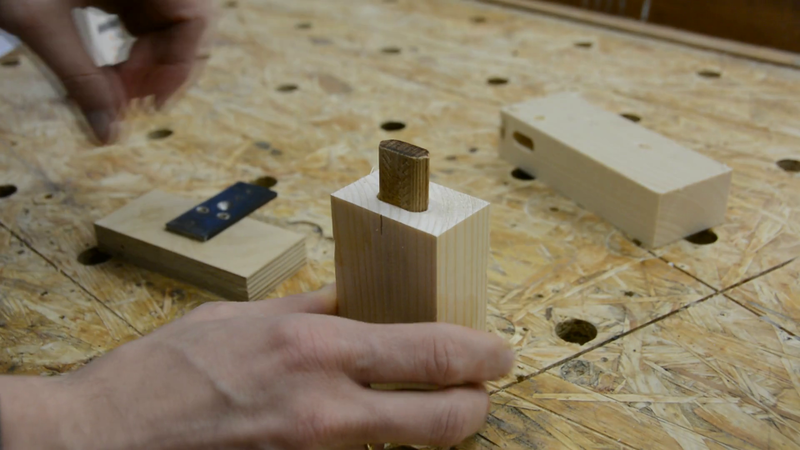 We glue the tenon in one side and let the glue dry. 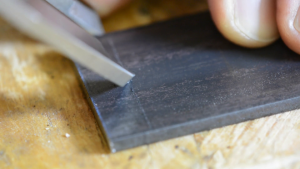 While the glue is drying we use the counterbore hole to align the jig on the other workpiece and drill a 3 mm hole through the lower hole in the jig. 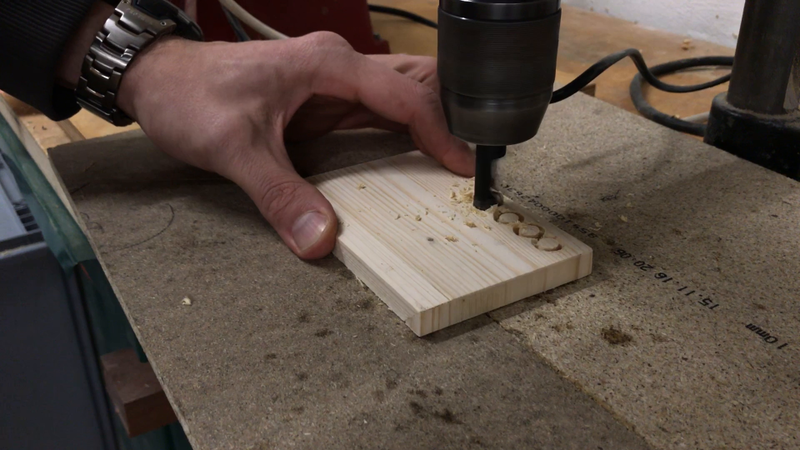 Don’t drill all the way through. We also drill a wider hole of 10 mm that we later use to plug the hole and make it disappear. 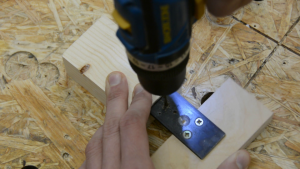 As soon as the glue has dried we put the top of the steel plate flush against the tenon base, align it with the center mark and drill through the upper hole. 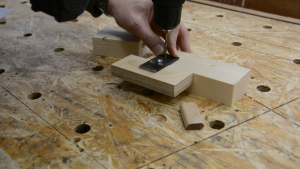 If you don’t plan to put a lot of stress on the joint you are done now. 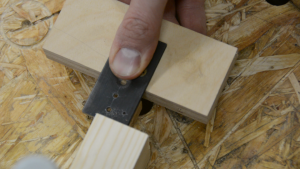 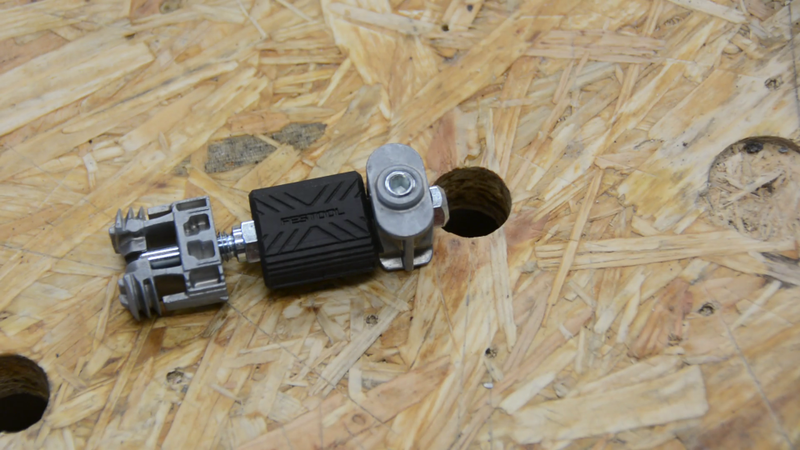 Otherwise we can reinforce the domino fasteners by holding the guide next to it and align the small hole with its side. Using the small hole as a guide we can drill a hole through the tenon and put a nail through that hole. If the nail is too long you want to shorten it and you should make sure it sits below the tenon surface. 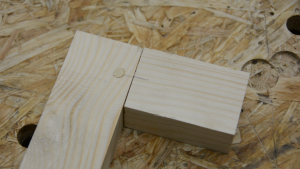 I had a few joints without any reinforcement where this region of the tenon broke when putting a lot stress on the joint. With this reinforcement we can finally put the joint together and secure it with a screw. 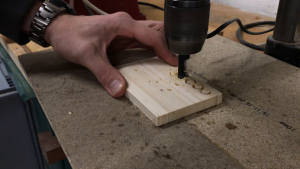 I don’t want to use a plastic screw cap. 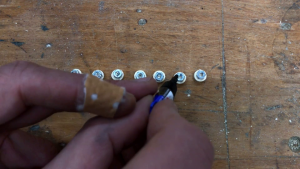 Therefore I cut small dowel plugs and superglue a tiny M3 or M4 nut on their underside. After putting these in the holes it’s nearly impossible to see these plugs and you can always remove them with a magnet. 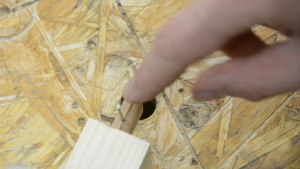 These homemade domino fasteners very well concealed and if you put pressure on the joint usually the wood will break before the joint. 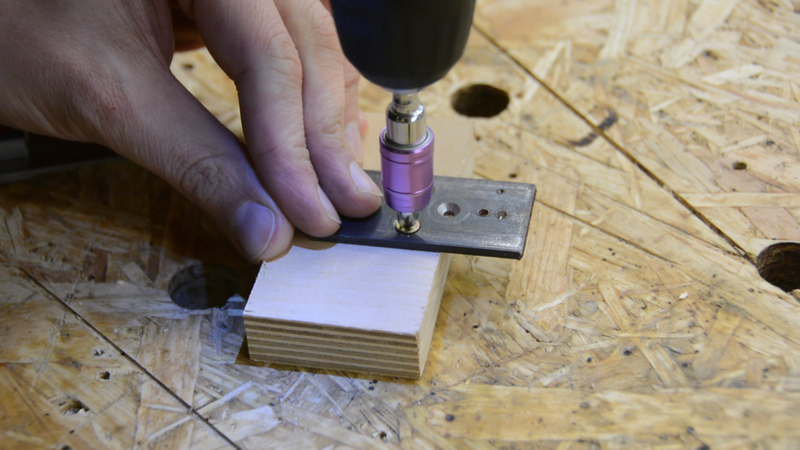 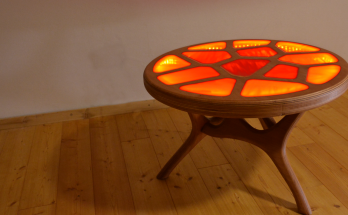 I like this method very much as it doesn’t require any special material and is very strong.